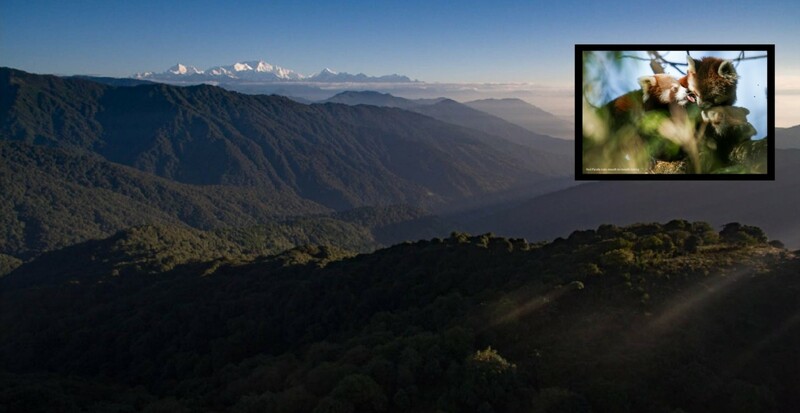 Kangchenjunga Singhalila Complex in eastern Nepal and three different protected areas in western Nepal. 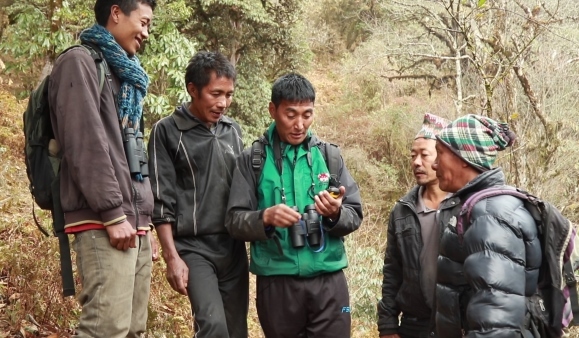 The project aims to conserve red panda populations and their forest habitat by restoring degraded watersheds and promoting red panda stewardship among communities Nepal. Last year we supported work in the eastern part of the country. Over the next three years we will be helping our partner expand this work into western Nepal. The red panda has been classified as Endangered by the IUCN because its wild population is estimated at less than 10,000 mature individuals and continues to decline.The project area covers nearly 30% of the potential red panda habitat of Nepal. 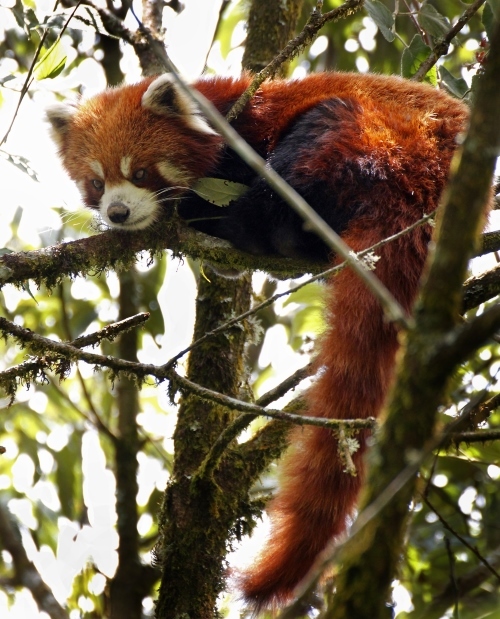 Habitat loss and fragmentation, poaching, and inbreeding are all taking a toll on the red panda population in Nepal. This species shows poor survival rates in fragmented habitat as they do not readily find new feeding grounds in a highly fragmented landscape and are exposed to other threats when crossing unsuitable habitat. Poachers pose a threat in Nepal and Myanmar to satisfy the Chinese demand for the species (as wild meat, for medicine and for skins) and smaller population fragments, such as in Nepal, can support little or no off-take. A growing human population in the Himalayas means more people are moving into red panda habitat to pursue their livelihoods. 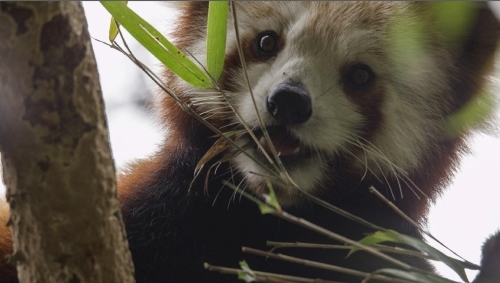 Use appropriate scientific methodology to generate knowledge of red panda distribution, abundance, habitats, existing and emerging threats and to identify conservation hotspots for this species. Create stewardship amongst key stakeholders within the local communities to ensure the long-term conservation of this red panda population. 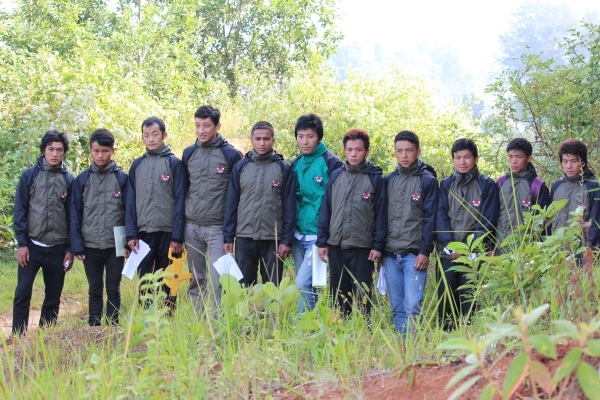 Set up a long-term community based monitoring and anti-poaching initiatives in 40 community forests.